Combining powerful onboard electronics—including a built-in tuner—with great tone and easy playability, the CC-60SCE is ideal for beginning to intermediate level players who are ready to plug in. 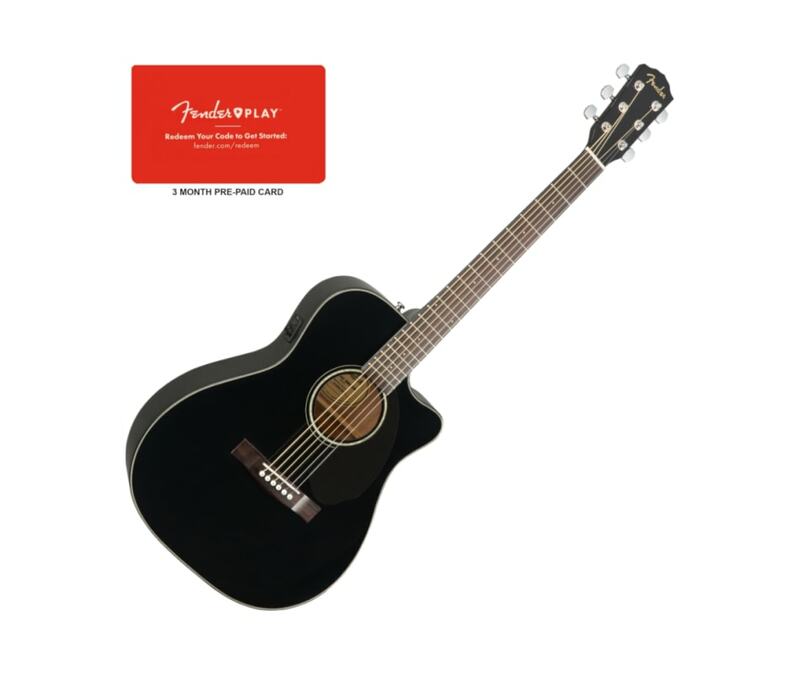 The smaller concert-sized body is comfortable in any playing position, while the single-cutaway body provides easy access to the upper frets. 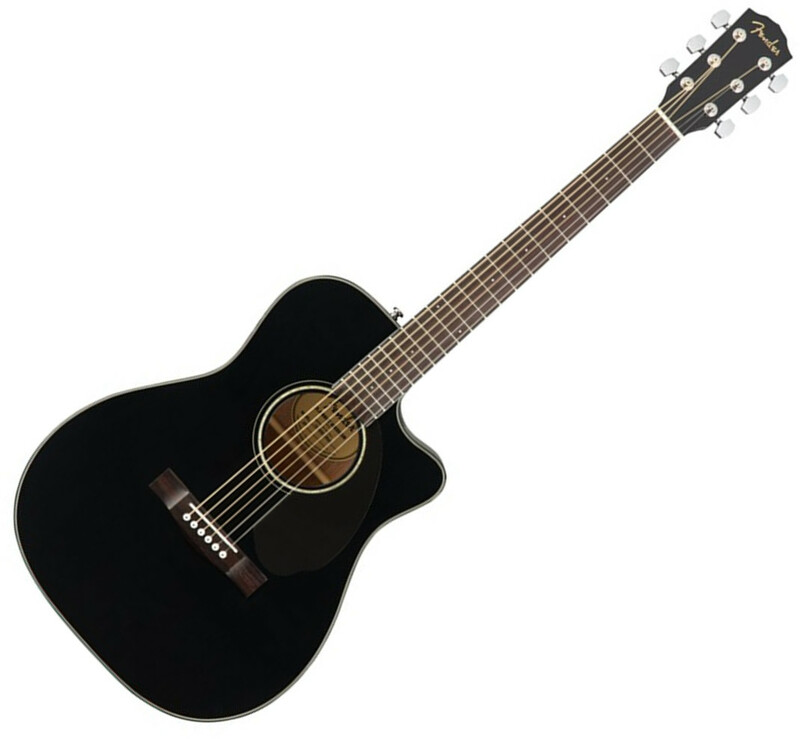 Featuring a solid spruce top for increased volume and crisp sound, mahogany back and sides, and easy-to-play neck, the CC60-SCE is a perfect choice for the beach, the patio or the coffeehouse. 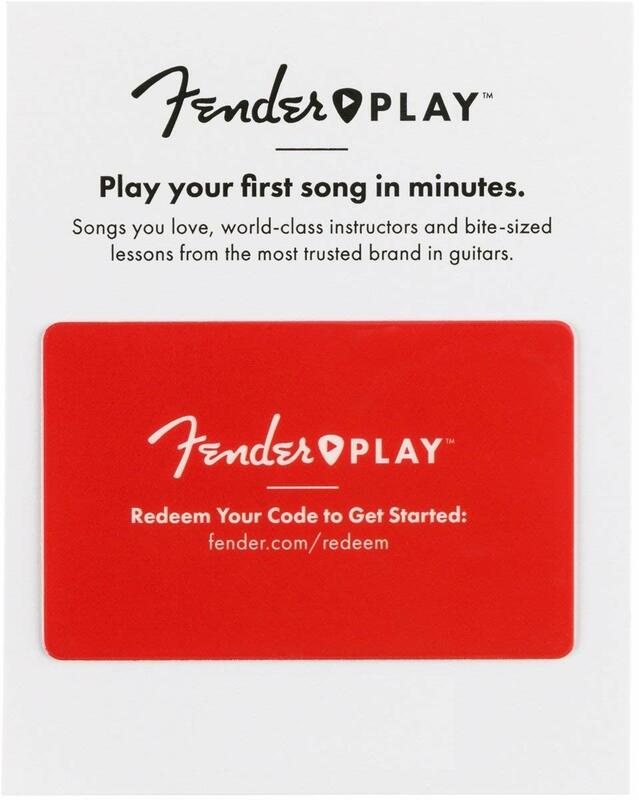 Give someone—or yourself—the gift of a Fender Play online lesson subscription – an all-access pass to pursue their passion for playing music. With Fender Play, new and returning guitar players will learn to play the songs they love in minutes, using bite-sized, high-quality video lessons taught by our world-class instructors.